After the success of our event reviews last year, WCM summer 2014 press team returns!! This summer promises to be explosive and WCM can’t wait to blow it up on the dance floor! The events & festivals we are featuring this year are going to be electrifying! 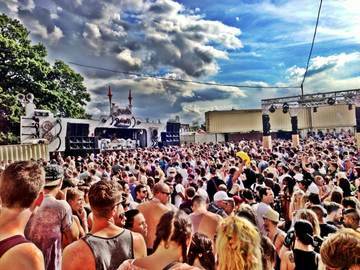 We will be working with a number of top promoters in the dance music industry, giving you the latest event news & reviews. Summertime will be on fire and WCM will most definitely be hot stepping with some bad boy skanking, checking out what’s hot and what’s not! We will be keeping you updated with press releases, event reviews and our best attended events for summer 2014. The weekend just before Halloween 2013 was full of great events to attend in Brooklyn, NY; but nothing else would compare to great liquid Drum & Bass talent brought in from near and far – And for those of us living in the states I do mean far. 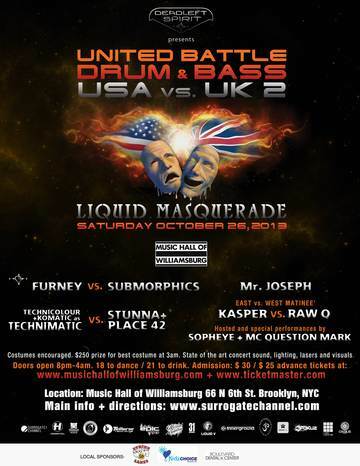 Representing Drum & Bass from the United Kingdom: Furney, Technimatic [Komatic and Thechnicolour] and Mr. Joseph travelled from across the pond to be a part of this masquerade battle. Only Raw Q, Place 42 & T.R.A.C. were playing in their hometown of New York; the rest of the talent came from Florida, the Midwest and the beautiful West Coast of California. WCM already has an impressive international roster but this month we welcome Cyrpus’s very own DJ Sega to our international roster. 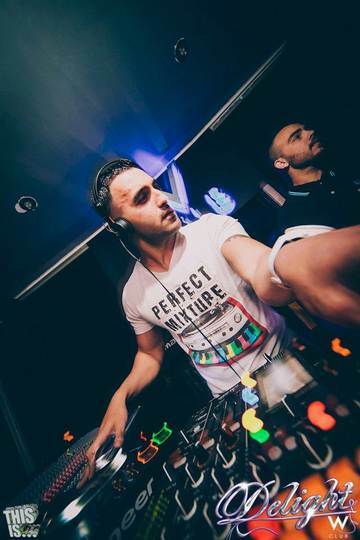 Already, smashing up the club circuit in Cyprus we are proud to introduce DJ Sega to the UK scene! Welcome to WCM Sega …. Can you tell us a little bit about your musical background and how your career began? 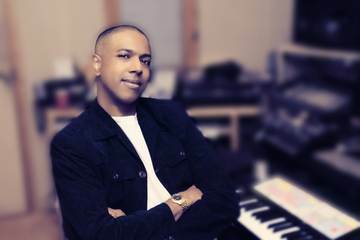 WCM welcomes legendary producer K Warren to our team of UK artists. 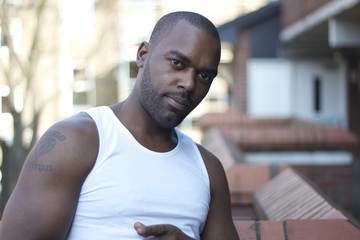 Not needing any introduction with his outstanding contribution to the UK garage scene WCM takes 5 with K, and gets a brief up date on what he has been up to and a little bit of information about his career so far. As we are all aware of you had some of the biggest success in the UKG industry! What was your big break into the scene? Tech:nology = an events promotion established in 2005, created to address the apparent lack of dark drum and bass nights in London. 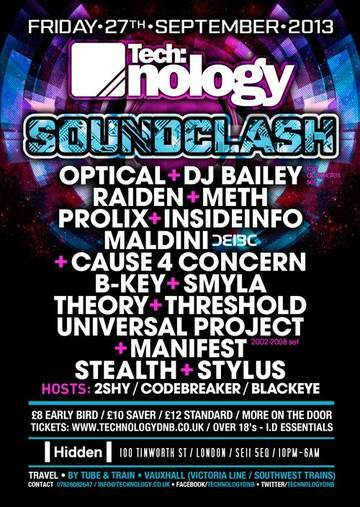 Soundclash = a musical competition where DJs pit their skills/tunes against each other. With this in mind and the massive line-up for this event, I knew we were in for a proper beat fest!! Let’s do this……. After gathering the crew consisting of myself, Steve, DJ Ashatack and DJ Real Deal, we made our way to Hidden in Vauxhall. On arriving at the club around 12.45 we quickly made our way to the entrance. There were quite a few people in the queue eagerly waiting to get in. I introduced myself to Oscar (1 of the promoters, the other being Michael) and arranged to catch up with him at some point in the night. 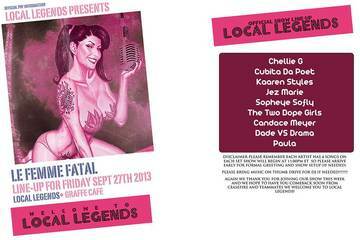 Miami is known to the world as the Magic City; for those who attended the “Femme Fatal” Local Legends showcase on Friday September 27th, the reason why was clear. Located in the artsy town of Wynwood, just north of downtown Miami, the Graffe Café plays host to the weekly Local Legends showcase. This affordable evening out introduces its audience to local and thriving artists of various genres from around Miami. This week in particular had been dubbed the “La Femme Fatal” showcase. I was honored to be performing alongside a vibrant lineup of talented women, including: Kaaren Styles, Cubita da Poet, Dade vs Drama, Candace Meyer, Two Dope Girls, Chellie G, & Jez Marie. Thanks to Ceasefire and his Local Legends crew, the night was a roaring success. Each individual act had their own style, flavor and unique sound that kept the Graffe Café packed from the moment the lights went dim to finish. For those unable to attend, the show had been broadcasted live from UniverseMiami.com. Guest Chellie G hosts a weekly show on Wednesdays from 8-9pm on Universe Miami, as well as Kaaren Styles, every Friday, from 6-8pm EST with DJ Nasty Nate for the Rich Flo show. As I arrived on the Balearic Island I was filled with excitement as I had meticulously planned every hour of the next 72 hours, I couldn’t help but feel slightly stressed wondering if this is actually going to work? The moment I walked out of the airport I could feel the warm breeze and a sense of freedom, a indescribable ambiance – all worries, stress and thoughts were forgotten, IT WAS ON! 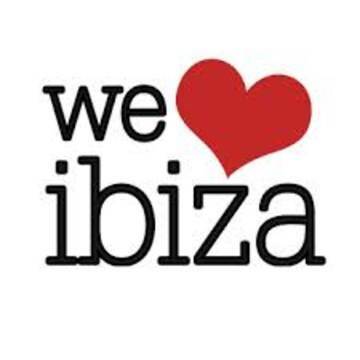 Let me tell you – Ibiza is definitely not what you see on TV! Far from it, with its beautiful white sandy beaches, and laid back atmosphere there’s something for everyone! Can you tell us a little bit about your musical background and how your singing career began? This month WCM see’s a few new additons to our management roster including the wicked reggae/ragga sounds of Specialist Moss. No stranger to success we catch up with Specialist Moss and find out what he has been up to…..
Music has been around me since I was born. My Dad had a band and a sound system he would always play reggae music (sing/play guitar) in the house. My brother, sister and I started a group when we were young, I was about 8yrs and I played the drums and the keyboard. By the age of 11yrs I was writing songs and mcing to dancehall music at home and in my local youth club. I was involved with a high profile radio station called transmission1 and would regularly mc over jungle, house and garage. 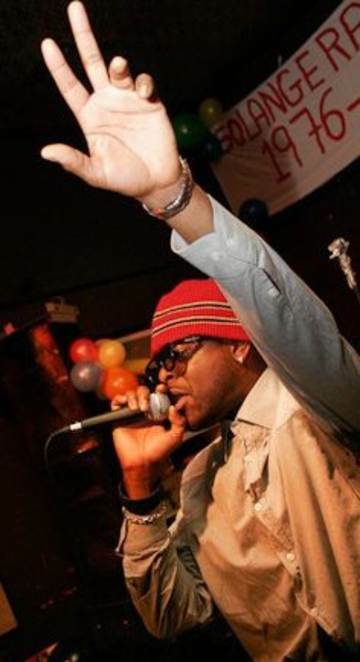 My style grew and I incorporated singing to my mcing, I my sing-jay style was formed. The time is 1:30am on Sunday 4th August and I’ve just completed a 10hour shift at work, but I feel wide-awake, well aware that somewhere, something is going down in quite the party fashion. My homegirly reminds me that tonight is the Mad Decent After party in Fort Lauderdale. As I arrive at the venue the talented Australian duo Kito & Rejia Lee start their set and rock this jam-packed party. 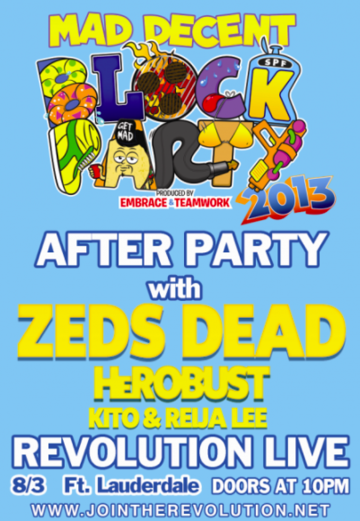 The event is produced by Embrace and Footwork who joined forces with Culture, Revolution, and Live Nation to host the infamous Mad Decent Block party and After Party. The Mad Decent Block Party started in 2007 and since then has expanded nationwide. This summer the party will complete a tour of thirteen cities on thirteen dates for 2013. This year’s lineup included 10 artists from the Mad Decent label including Zed’s Dead, Flosstradamus, Riff Raff, and Major Lazor.